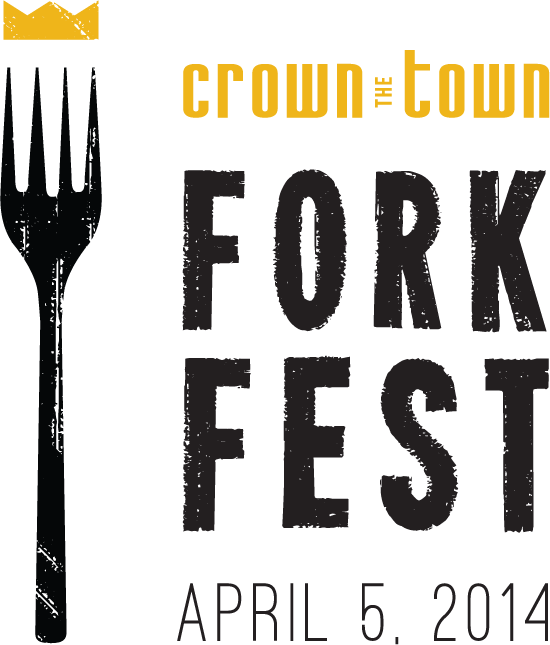 Announcing the Inaugural Crown the Town Fork Fest! Crown the Town’s Fork Fest is a brand spanking new event that will highlight the Santa Barbara culinary culture and bring the community together for a truly one-of-a-kind foodie fork-off! This event will break the mold by exciting your adventurous side, stimulating your taste buds, and liberating your inhibitions! On April 5th at a closed section of Mason Street between State and Anacapa in the Funk Zone, Crown the Town will be bringing 15 of the best local eateries together to compete in a friendly fork-off competition to win the guests’ votes. Vendors will each prepare one delectable forkfull of culinary excellence that they hope will set palates off like a rocket and win them the crown! Our goal is to leave the cuisine genre open-ended and push the competitive nature among vendors to inspire originality and quality. Tickets are all inclusive at only $55 and purchasable online at fork-fest.nightout.com starting Wednesday March 5th at 10:00am. Each admission ticket includes entry (duh! ), plus a forkfull from each vendor, unlimited adult beverages and, of course, one hell of a good time! Plus, each guest gets a flashy Fork Fest crown and a snazzy yellow fork! There will also be a photo booth courtesy of DNA Imagery where guests can snag candid photos with some unique fork-inspired props. We’ll be posting all the event photos of the event to our site and social media so everyone’s forked faces can live in infamy! But Fork Fest isn’t all JUST for fun either! This event will also help raise funds for two local non-profits. Each ticket sold to Fork Fest will provide one meal through the Food Bank with hopes to provide 1,000 meals to help solve hunger issues here on the Central Coast. Additionally, Fork Fest will be donating a portion of event proceeds to a new non-profit, Vow4Mal, which aims to eliminate drinking and driving and promotes smart choices for young people in Santa Barbara. To learn more about our non-profits and donations visit our website.